Jon Renau Chloe! 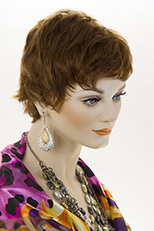 Tapered with flattering sideswept bangs, this chin length shag is sleek, modern and versatile. 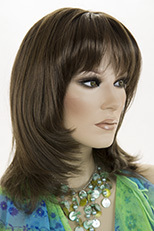 The SmartLace front and hand-tied monofilament cap create supremely natural movement. 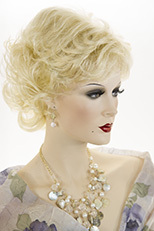 Soft and feminine! 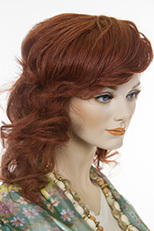 Long and wavy hairstyle with a skin top side part and bangs. The length is 25 inches. See item details for available colors. 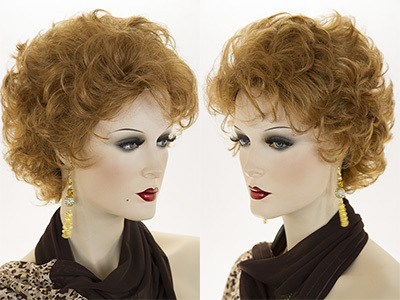 Medium, short, wavy, curly claw clip in hair piece. The hair length curly is 11 inches. Clip length approximately 4 inches. See item details for available colors. 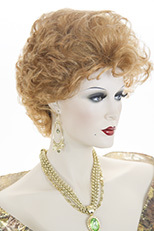 Long, wavy, glamorous wig with a natural looking off center skin part and long side swept bangs. Approximate hair length is 30 inches. See item details for available colors.